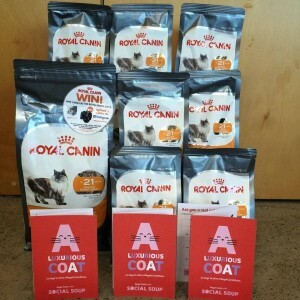 Our Feline Pet Panel were recently given the opportunity to review Royal Canin’s latest range of Feline dry food – “Royal Canin Shine”… their mission was try to product out over a 21 day period. The real challenge here would be whether her sister would take to it so readily. Georgina is known to be quite the fussy feline… I have tried to mix the brands up on her before to no real positive outcome. 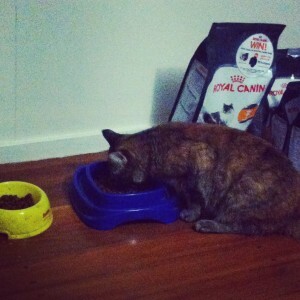 So you can imagine my surprise when upon sniffing the dry food put before her, she didn’t look down her nose at me and saunter off – in fact it was quite the opposite – she didn’t even look at me as she started to chow down on this new brand offered to her. Several of their feline friends were also given packs to try out for themselves. 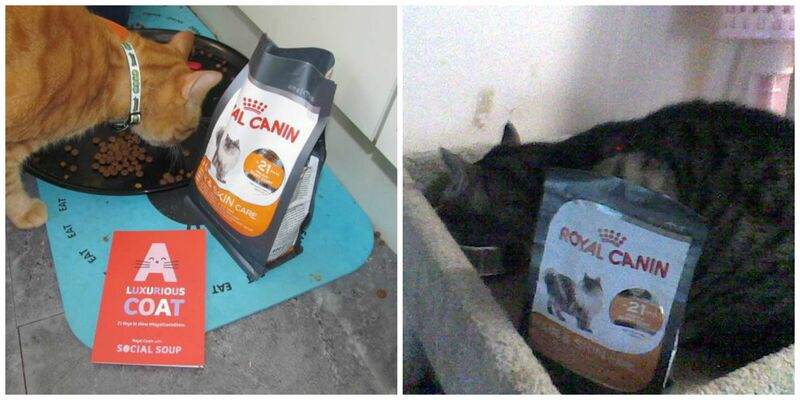 It would appear they were just as enthusiastic about trying out Royal Canin Shine too! I’ll be honest here and admit that I was fretting how Georgina would react to this brand… and whether she’d endure it for the next 21 days – neither of them had ever tried this brand before, so it was totally new to them both. My surprise turned to excitement as I saw Georgina sneak over to the bowl several times a day – she was even going out for ‘midnight snacks’ and George seemed just as keen as well. The best part is that unlike some of the supermarket brands, “less is more” here – whilst they had less placed in their bowls, there was absolutely no wastage, and I knew that what they were eating was specially formulated (and designed to be served in smaller amounts, whilst still providing all the nutrition that active felines need). Whilst they’re indoor cats, they have quite an active schedule… there’s bed gymnastics (where they use ‘me’ as the springboard whilst they chase each other around the bedroom – usually at about 2-3am). Then there’s the obstacle course where they use everything and sundry in the lounge room, not just their cat towers, to chase each other around. Not to be forgotten, then there’s cross country – which pretty much uses EVERY room in the house! When they DO go outside, they prefer to just lounge on the deck or under it in the garden beds – so all their activity pretty much happens indoors. Almost straight away I started to notice a difference in Georgina – she’s known to have a rather sensitive belly, and it’s not unusual for her to be sick after eating (apparently she’s perfectly healthy, it’s just something I watch with her)… I expected this to happen upon the first day or two after introducing new food to her; a whole week had gone by and she still hadn’t been sick… in fact, in the month that they’ve been eating this she hasn’t been sick once! 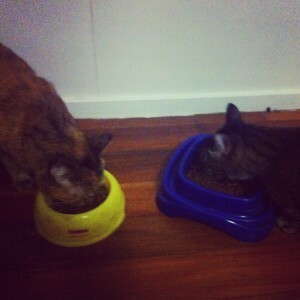 George seemed to love the new brand too… they were both very vocal about their meal times. Even more so than usual, as soon as I was near the bag of food they were practically climbing over me trying to get to it. Definitely a good sign! Another thing that didn’t go unnoticed – George is known to have umm ‘stinky’ poo’s… that changed with Royal Canin Shine – the odour had diminished greatly (I had friends actually mention that would happen once the girls started eating this brand – several had their own felines who eat Royal Canin exclusively, but I wasn’t sure that I’d see that kind of a result here, so again, another pleasant surprise when it did actually happen). 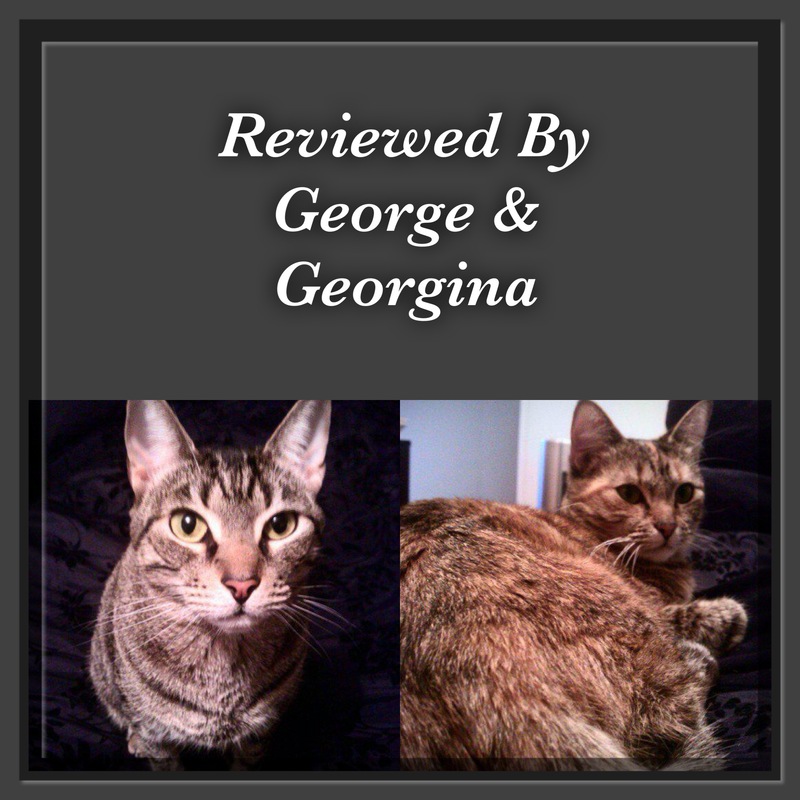 I’ve also noticed that the girls are a lot more calmer and affectionate – the ever so independent George has taken to curling up on my lap for cuddles, and Georgina is quite possibly even more affectionate than she already was. I also decided to test the girls out with their former brand – the brand that Georgina loved – her reaction to that was what I thought I’d get when I first introduced Royal Canin to her. She sat there so regally, sniffed it, looked down her nose at me and sauntered off… she did not even want to try the former brand. George (who would normally eat anything) was just as unenthusiastic about that brand as well. 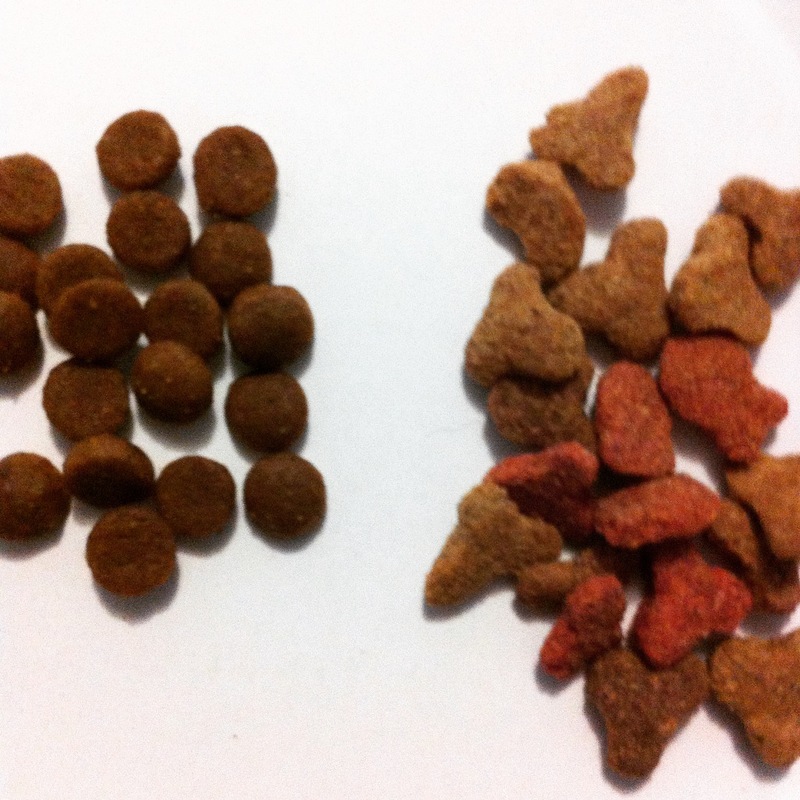 You can also see a comparison of the two brands below (Royal Canin Shine is on the left, and their earlier preferred brand on the right). So all in all, the product trial was a great success. It got the “paw of approval” from BOTH George and Georgina. So much so, that they are now converted to Royal Canin, and I couldn’t be happier with the results myself. I have two very happy felines, less smelly litter to clean up (it never mattered how quick you were to clean the litter box in the past – George could still make it smell horrid, I like that problem is now gone), Georgina’s sensitive belly seems to have settled a lot (which no doubt she’d find a blessing too… she always had a look like she’d done something wrong whenever she was sick, poor lil’ kitty), I know they’re getting all the nutrients they need to maintain their healthy, active lifestyles and I can rest assured that both girls are enjoying meal times now as well. You can find Royal Canin at your local Pet Food Specialist Retailer (not sold in Supermarkets) or visit them online here. As Royal Canin Shine is a new product amongst the range, you may need to request your local retailer stock it (or you can purchase it online at various Pet Specialist Webstores).